Similar to the growth in the number of vehicles in an urban area, the number of aircraft and the passengers they ferry, are in a phase of constant growth. Globally, the number of aircraft is expected to double from the base year of 2015 up to 2035. Since there are only limited number of airports and limited amount of space in each airport, this implies that each aircraft movement on the ground needs to be efficiently handled for faster turnaround. 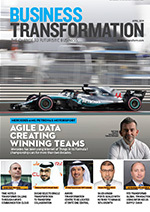 Faced with the pressure of managing multiple cost heads, airlines are now outsourcing their airport ground handling and cargo management services to specialist companies, and focusing on their core competence. While growth trends in passenger volumes tend to follow macroeconomic fundamentals, the growth in aircraft turnarounds are more immune to such highs and lows. Coupled with the increasing sizes of aircraft, both factors are a positive driver for the growth of outsourced aircraft handling on the ground as well as cargo management. Competition provided by low cost airlines is also driving airlines to outsource non-core operations to specialised service providers. However as much as 60% of the aircraft and airport ground handling services, continue to be managed directly by airlines, which adds to higher costs and reduces profitability. Airlines can reduce their operating costs by as much as 25% by outsourcing non-core operations to specialised service providers. 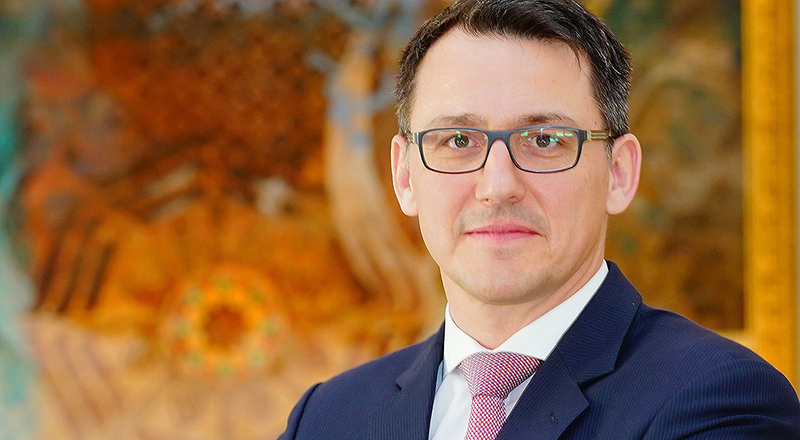 Luzius Wirth, Executive Vice President EMEA, Member of Group Executive Management at Swissport, believes this is a reason to be optimistic about future global growth. “We are the largest player in the market and we have only 14% of the market. There is room to expand and the Swissport formula helps in that journey,” he says. A leading global player in the area of aircraft and airport ground handling and cargo management services is Swissport International. This global service provider operates in 300+ airports and 50 countries, handled 260 million passengers and 5 million tons of cargo, and uses 120+ certified warehouses to manage cargo operations. The various airport and aircraft ground services include Baggage services, Gate and check-in, Station management, Crew administration, De-icing, Fuelling, Security, Lounge operations, Maintenance, Executive aviation, Aviation passenger transport. In the area of air cargo the services include, Freight handling, Mail and document handling, Operations and management, Trucking, Warehousing, E-Freight services. Swissport entered the Middle East in 2015 and has set up greenfield operations in Middle East and Oman. 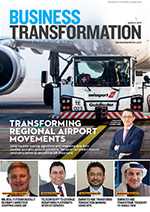 For Swissport, “Middle East is seen as a growth region,” comments Mark Skinner, Senior Vice President Middle East and Africa, Swissport. Including Saudi Arabia and Oman operations, Swissport now has an employee strength of 1,000 in the region. In Saudi Arabia, Swissport operates in three airports and has 17 customers. In Oman, Swissport operates in two airports, one of them being an oil field. Skinner points out that there are three ways to enter a new market. The first is buyout or inorganic growth; the second is organic growth from existing operations; and the third is a greenfield approach. For the Middle East region, Swissport selected the greenfield approach. “We chose this one for Middle East since we did not want any legacy and any history. The greenfield development is giving us the chance to get new equipment, get a top quality product, train our own people, and grow as fast as we want,” explains Skinner. By adopting the greenfield approach, once ready the stations are global players from the first day of operations. Customers can also receive the service they expect from day one. For Wirth, adopting a greenfield approach in the Middle East allows Swissport to bring in its core competence of delivering service quality and managing costs. “The greenfield approach is the most difficult and the most expensive approach. But it is also the easiest one to implement our DNA,” says Wirth. The greenfield approach allows Swissport to train the new staff from the ground up, building its own work culture without resistance. For both Skinner and Wirth, this is the big benefit of entering the Middle East market with a greenfield approach. The Swissport formula for growth relies on two primary factors. More aircraft movements, more passengers, more airlines, on-time turnarounds, cargo movements, cross selling of services such as lounge hospitality management, are responsible for driving the top line numbers. Strong focus on cost management and quality of services, ensure that the bottom line is controlled. While there is wide portfolio of services there is a consistency in the delivery. Staff is also a big part of the Swissport operating cost. Skinner indicates that planning tools allow Swissport to optimise costs of equipment and staff between regions especially during lows and highs like the Hajj pilgrimage and for trainings. “Becoming smart is a continuous process,” reflects Skinner. “This is all about systems, procedures, processes, looking at costs, and making sure we have the right talent around the aircraft to deliver the service. That is something we push quite religiously across all airports,” stresses Wirth. The same airline customer in two countries can expect the same service. Moreover, wherever Swissport is operational, both airlines and airports talk to the same supplier. Another key component of the Swissport formula is the application tool called the Arrival Delay Estimate System. This application predicts the global impact cost from the delay of an aircraft’s movement at any particular airport station. The application uses a large number of global variables such as aircraft movements, weather, manpower, fleet movement, and collectively assesses the cost impact of any delay. Artificial intelligence and machine learning help to forecast how an airport will look like after a couple of hours if there has been a delay. Wirth elaborates, “We have a tool deployed and developed specifically for Swissport. No other ground handling service provider has that. I can see every flight on my phone, where it left, how many passengers on board, what is the load, is it on time. If it is late are we responsible and what is the reason.” The benchmark for Swissport is to know about its performance better than the customer, so that it knows what to do, to make it better. 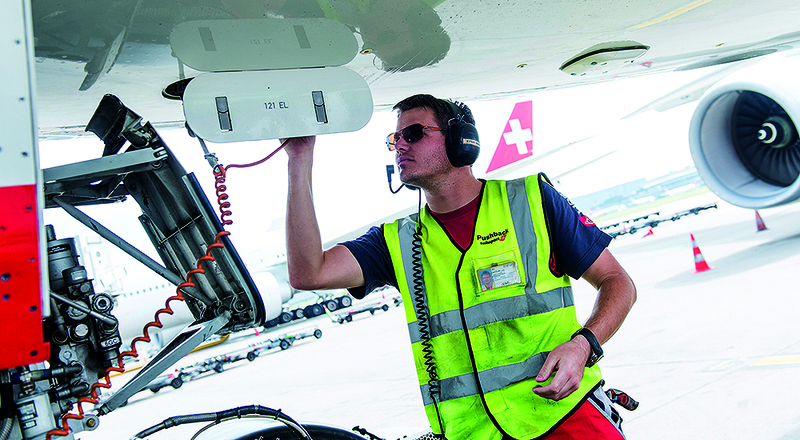 Other on-going technological initiates across Swissport include proximity sensors in vehicles to avoid collision with aircraft; on-ground tracking of airport vehicles through telematics; simulators for vehicle training; amongst others. Adding RFID tags to the baggage is a requirement presently being studied by IATA. This requires multiple parties to come together including aviation and airport authorities, airlines, baggage suppliers, and service providers. 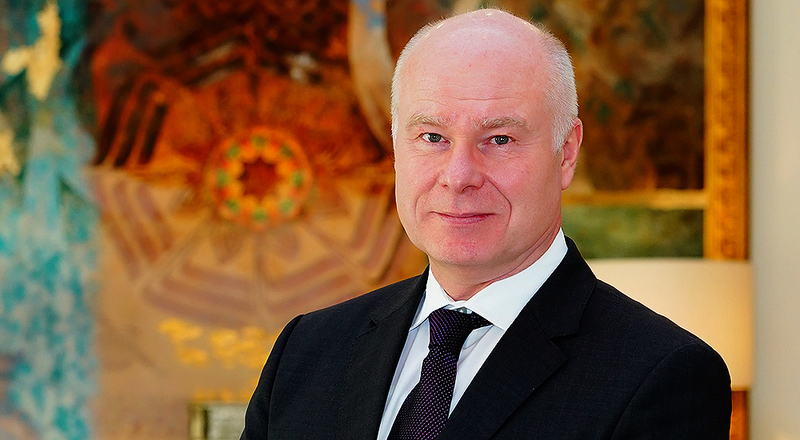 Luzius Wirth, Executive Vice President EMEA, Member of Group Executive Management at Swissport. Swissport, together with its partner Finnair, has been awarded Best Handler-Airline Innovation. The global service provider of airport ground services and cargo handling was honored for a new machine-learning tool, which helps to dynamically predict aircraft delays at Finnair’s hub in Helsinki-Vantaa. The machine-learning algorithm, developed by the Finnish IT company Bluugo, enhances efficiency on the ground by detecting resource constraints long before an aircraft is airborne. For its prediction, the new software relies on a variety of factors that influence the punctuality of flights. In addition to weather data en-route or at the destination, it includes data from air traffic control and from airport operators. Aircraft rotation delays are also considered for subsequent flights. After the initial calculation of an estimated arrival time, the algorithm regularly checks various parameters and adjusts ground resource planning accordingly. Currently, the system can predict the ETA for Finnair in Helsinki with an accuracy of six minutes. With each flight the algorithm learns for future calculations and becomes more precise. Considering delays of transfer passengers arriving to Helsinki, departure delays are also predicted for a more efficient resource allocation. The Swissport Operations Control Centre now has an extended planning horizon and can more efficiently allocate staff and ground support equipment, like for example push-back tractors and high-loaders. This brings advantages, especially when faced with off-schedule flights. 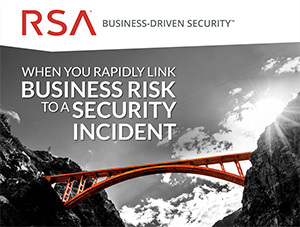 The ability to react earlier makes the entire service chain more reliable for its customers. 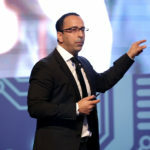 In the coming months, further data streams are to be connected to the tool to further increase accuracy. Swissport plans to roll out the tool at various airports worldwide in 2019. Says Florian Eggenschwiler, Head of Innovation at Swissport International AG. “This innovative tool will help us be an even more reliable airline partner”. 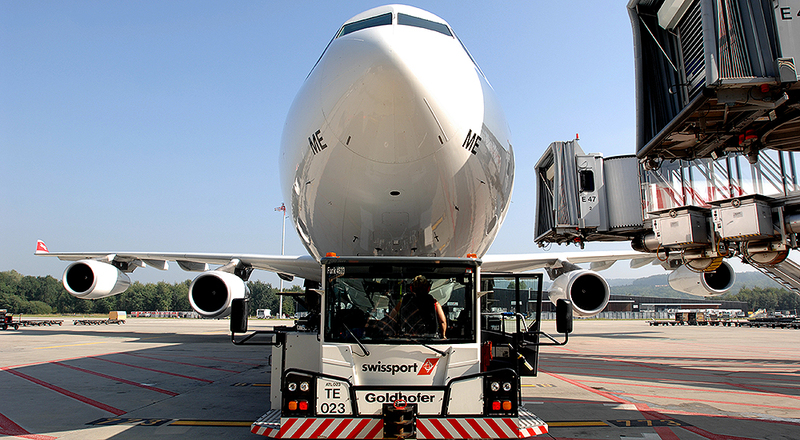 Swissport operates in 300+ airports and 50 countries, handled 260 million passengers and 5 million tons of cargo, and uses 120+ certified warehouses to manage cargo operations. Swissport is further expanding its business in the Middle East with new contracts from the Dutch airline KLM and the largest Indian carrier IndiGo. The Swiss aviation services company, will provide KLM with ground handling services in Dammam. IndiGo will initially be handled by Swissport at Jeddah, followed by Dammam and Riyadh. Swissport will be providing the full range of ground services from passenger services to ramp operations to the Dutch airline KLM for its flights at King-Fahd airport in Dammam. Swissport will serve KLM’s Airbus A330 widebody aircraft during the stopovers of flights between the Dutch metropolis of Amsterdam and Muscat, the capital of Oman. With KLM, the first major European carrier has opted for Swissport’s Saudi affiliate. Swissport will also handle IndiGo’s daily flights at Jeddah, followed by Dammam in April and Riyadh in September, supporting the carrier’s rapid growth in the region. IndiGo is a private-owned carrier with a hub in the Indian capital of Delhi. With a fleet of currently 195 Airbus A320 family aircraft, which is to grow to 250 aircraft the near future, IndiGo has become the largest Indian carrier. With KLM and IndiGo, Swissport is adding prominent names to its client portfolio in the Middle East. 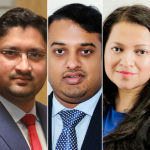 The businesses in Saudi Arabia and Oman have developed from two greenfield start-ups into established organisations in just a couple of years. In addition to the new business with KLM and IndiGo, Swissport recently commenced operations with Fly Dubai, Jordan Aviation, Fly Baghdad and Sun Express for airport ground services at the Saudi port city of Jeddah. Fly Jordan, is the second Jordanian airline to be handled by Swissport. Swissport will also start serving SalamAir of Oman at Muscat International Airport. SalamAir of Oman has signed a five-year contract with Swissport for hub handling at Muscat International Airport. The Swiss aviation services company, will provide the Omani carrier with a full range of services, from passenger services to ramp operations. Adding SalamAir to its growing portfolio of high-profile customers in Oman is another milestone for Swissport since starting up operations in the Middle East. Mark Skinner, Senior Vice President Middle East and Africa, Swissport. By adopting the greenfield approach new stations are global players from the first day of operations. Benchmark for Swissport is to know about its performance better than the customer, so that it knows what to do, to make it better. Faced with pressure of managing cost heads, airlines are now outsourcing airport ground handling services to specialist companies. Growth trends in passenger volumes tend to follow macroeconomic fundamentals, but growth in aircraft turnarounds are more immune to such highs and lows. Increasing sizes of aircraft are positive driver for growth of outsourced aircraft handling on the ground. Customers can receive the service they expect from day one.